Dulwich SE21 Tree Surgery & Gardening | RDA Cleaning & Maintenance Ltd.
You might think that it takes a whole bunch of professional skills and tools to make your garden amazing. However, from now on you can have it totally awesome without even moving from the couch. 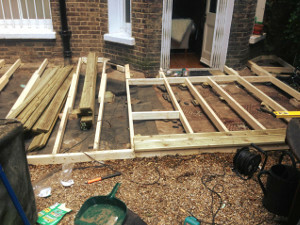 All you have to do is to use our top-notched and hassle-free gardening Dulwich SE21. Tell us what you need for your patio and we will find the best solution! Last, but not least, consider our promotion: order another service with gardening and get a huge discount! Looking for a reliable team of gardeners in Dulwich SE21, then please do not hesitate to give us a callor fill out our online booking form. But, what exactly do we do? Well, the answer is simple: We do it all. We remove any kind of garden waste there is. Be it leafs or anything else. Our vetted gardeners provide excellent lawn mowing care for your front or backyard garden. They will also remove any kind of weeds that might be there with strong weed killers making sure to keep your garden safe and beautiful. Weeds are competitive. They will fight with your plants for food, water, soil and sun. This way they kill most of the houseplants and become the dominating species in your garden. Mowing and care service - Lawn mowing is one of the essential services provided to keep your lawn in a perfect condition. Grass being like most plants when cut becomes even denser. When done correctly, thousands of grass branches will come together and create the perfect lawn surface. Our expert gardeners Dulwich SE21 have the best equipment in their possession ensuring this way only the best of gardening services that can be provided. The petrol lawn mowers they use are professional and compact, this way there is no need for power supply and no garden gate access is required. All of the fertilisers we use are completely safe for use. Our gardeners also will water your lawn, provide edging services, and repair it if needed. Expert Gardening Services Dulwich SE21 Just A Click Away! Here is the phone number 020 3404 1646 to dial right away if you want a beautiful home or commercial garden space! Get a free quote now! We promise low-cost and reasonable prices. Book the gardening services in Dulwich SE21 and have a fantastic exterior without even sweating!